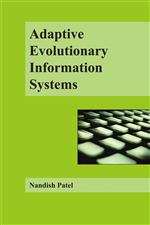 This chapter introduces ateleology as a new paradigm for developing information systems (IS). It argues that the user should be able to modify the information systems’ behaviour at run-time, unlike contemporary IS. Such information systems, called tailorable, are able to evolve together with their context to adapt to the constantly changing requirements of their users. Ateleology provides a sound theoretical basis for explaining tailorable IS (TIS) development. Using an innovative software architecture made up of dynamic object-oriented software components, it is shown how an IS can be design-decisions-independent and, thus, tailorable, by empowering the user to control the system’s behaviour at run-time. By abolishing design decisions that unnecessarily and irreversibly restrict the IS’s behaviour and by deferring them at run-time, TIS is the first and only breed of IS that evolve and adapt to their context, to achieve constant systems development.